India’s Ekta Bisht only player to feature in both the sides. The International Cricket Council today announced the women’s ODI and T20I teams of the year with England’s Heather Knight named as captain of the 50-over side and Stafanie Taylor of the Windies appointed captain of the 20-over side. The two sides were selected by the same panel, which had voted for the annual individual awards, and included Chloe Saltau, Mel Jones, Lisa Sthalekar (all Australia); Charlotte Edwards, Kalika Mehta, Alison Mitchell, Alan Wilkins (all England and Wales); Anjum Chopra, Snehal Pradhan (both India); Olivia Caldwell (New Zealand); Firdose Moonda, Natalie Germanos (both South Africa); Sa’adi Thawfeeq (Sri Lanka) and Ian Bishop, Fazeer Mohammad (Windies). The panel took into consideration player performances from 21 September 2016 to date. Knight was named captain after she inspired her side to a stunning ICC Women’s World Cup victory in front of a packed Lord’s on 23 July in what was a game-changer for women’s cricket. Whilst the world’s top-ranked T20I batter Taylor was given the nod as captain of the inaugural ICC Women’s T20I Team of the Year, introduced as part of the ICC’s commitment to enhance the profile of women’s cricket and bring greater equity with the men’s game. The ODI side comprises players from five countries, including two Australians (Meg Lanning and Ellyse Perry), four England players (Tammy Beaumont, Heather Knight, Sarah Taylor and Alex Hartley), two Indians (Mithali Raj and Ekta Bisht), one New Zealander (Amy Satterthwaite) and two South Africans (Dane van Niekerk and Marizanne Kapp). 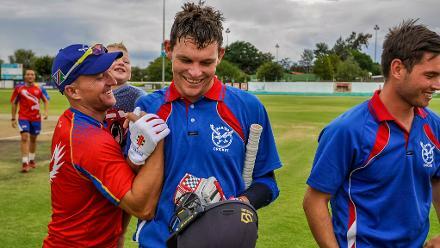 The side includes the world’s top four ranked batters in Raj, Perry, Lanning and Satterthwaite, while amongst the bowlers, Kapp is ranked number one, van Niekerk (ninth), Perry (13th), Bisht (14th) and Hartley (18th). Wicketkeeper Sarah Taylor is ranked 10th in the batting table, while her team-mate Beaumont is ranked 15th. The T20I side is made up of three Australians (Beth Mooney, Megan Schutt, Amanda-Jade Wellington), one from England (Danni Wyatt), two from India (Harmanpreet Kaur and Ekta Bisht), two from New Zealand (Sophie Devine and Lea Tahuhu) and three from the Windies (Stafanie Taylor, Deandra Dottin and Hayley Matthews). India’s left-arm spinner Ekta Bisht is the only cricketer to feature in both the ODI and T20I teams of the year. The 31-year-old from Uttarakhand is ranked 14th in ODIs and 12th in T20Is, and took 34 wickets in 19 matches and 11 wickets in seven T20Is in the period under consideration. Meanwhile, and for the first time this year, the ICC has introduced the ICC Fans Moment of the Year award, which will be chosen by cricket fans around the world who will get a chance to vote for their favourite moment of 2017. The voting window for this award is now open and the winning moment will be announced along with the men’s ICC Awards 2017 winners in January 2018.